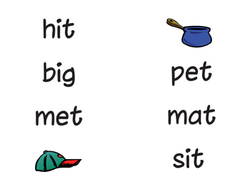 The “-at” word family is one of the first a young learner masters. 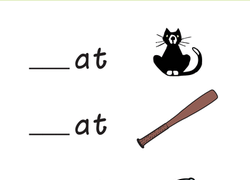 From “cat” to “hat,” students pick up a whole new range of sight words using objects and animals they are familiar with. 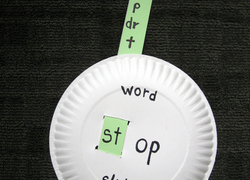 When your students are ready to expand their vocabulary, use additional Reading and writing resourcesTo develop an understanding of the short vowel sounds that tie these words together. 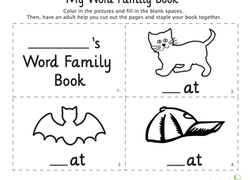 Help your year one child practise reading with this printable phonics worksheet that's all about word families. 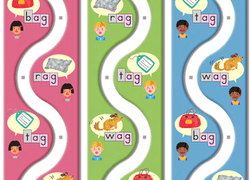 Match the -it and -at Words! 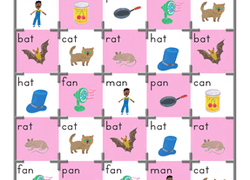 Use this fun reading and matching worksheet to help your students practise identifying and reading short vowel word families. 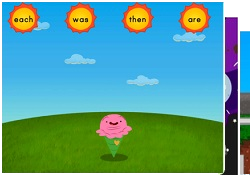 Practise reading and writing words that rhyme in this creative exercise. 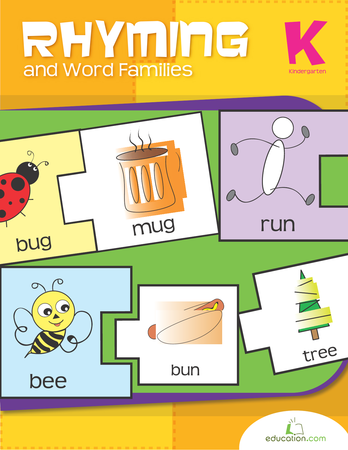 Our word family puzzle is a great visual tool and game that makes it easy for kids to see how words are built. Simply cut out the puzzle pieces to play! 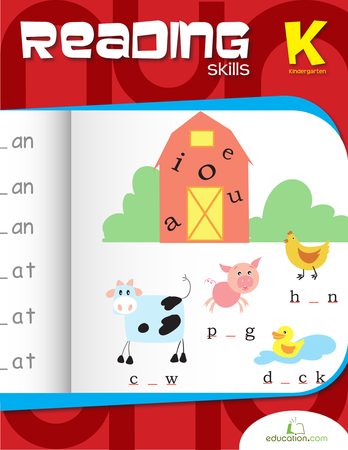 Words are broken down into their smallest components as a means to teach little kids how to read. 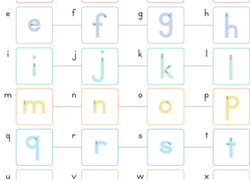 After learning the alphabet, kindergartners and first graders are introduced to word families. 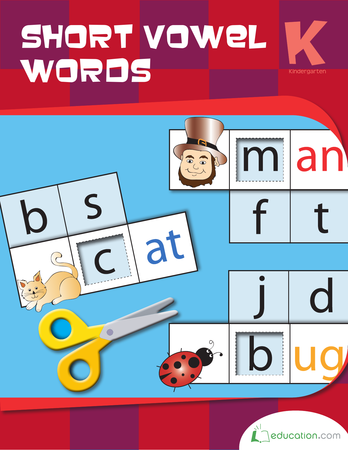 A word family is a combination of letters that are commonly found in English. There are various sources in the Learning Library that consider the –at word family. 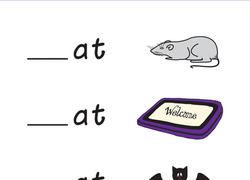 The –at family demonstrates the short A sound in words like cat, bat or sat. 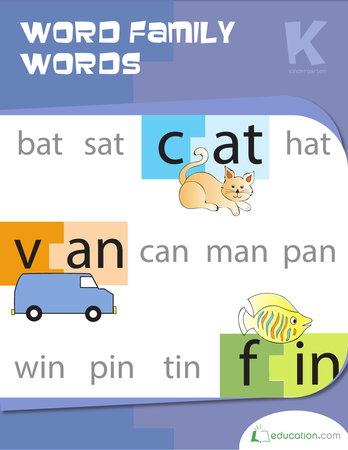 To cement this little combination to memory, Education.com provides a lesson plan, Rhyming Word Family Fun Houses, which teaches kids to easily recognise word patterns. 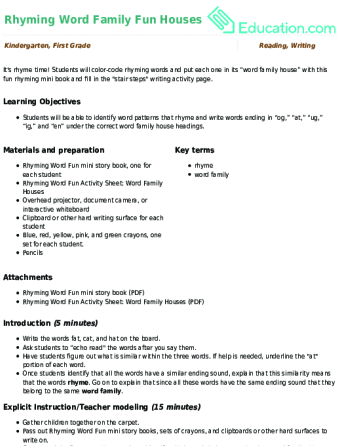 The lesson plan includes an introduction, explicit instruction, guided practise, independent work time and other exercises for an absolute learning experience. 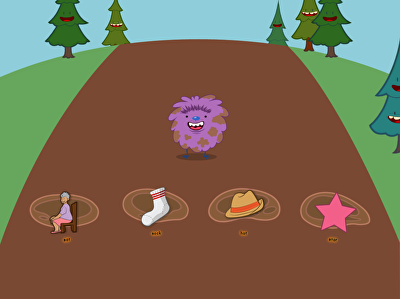 There are a handful of colorfully-illustrated printable worksheets, from classic fill-in-the-blank-style assignments and original maze games. Hands-on activities differentiate traditional lessons. 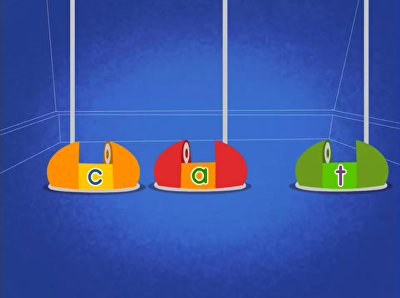 The Play With Words: A Pretend Bakery GameTransforms letters into ingredients that are mixed up in a mixing bowl and then used to create different words. These and other Education.com –at word family resources teach the essence of words in a way kindergartners easily comprehend so they are encouraged to read more and more.